Hop to great event sales with an Easter Bunny Postcard. Pink writing on a white background summons up the fresh promise of the new season, with adorable bunny rabbits and three colorful eggs. When spring has sprung, you'll be ready for egg hunts, church events, and any other Easter celebration. Fill in the easy template below to get hopping! 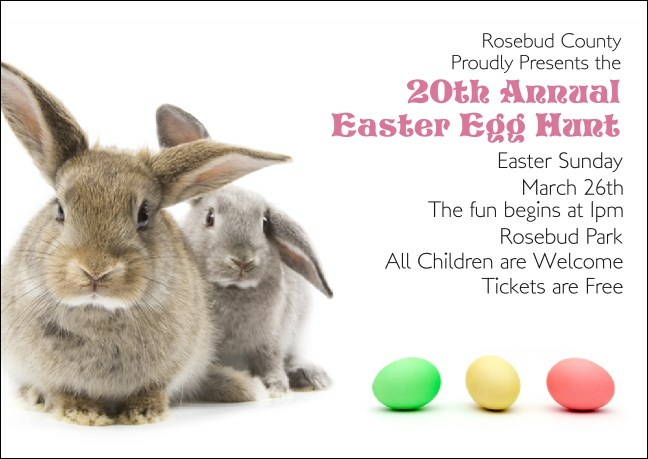 TicketPrinting.com offers the right designs for all your annual milestones.